Last weekend (24th and 25th February, 2018), was a busy one for members of the governing New Patriotic Party (NPP). This is because the party held its elections for its Constituency Executives to run the affairs of the party at the constituency level for the next four years. The election paves the way for Regional Executive elections and subsequently the big one — the National Executive elections. In recent times a number of NPP stalwarts have declared their intentions to contest national positions within the party. One position which has attracted a lot of attention is the position of National Chairman. 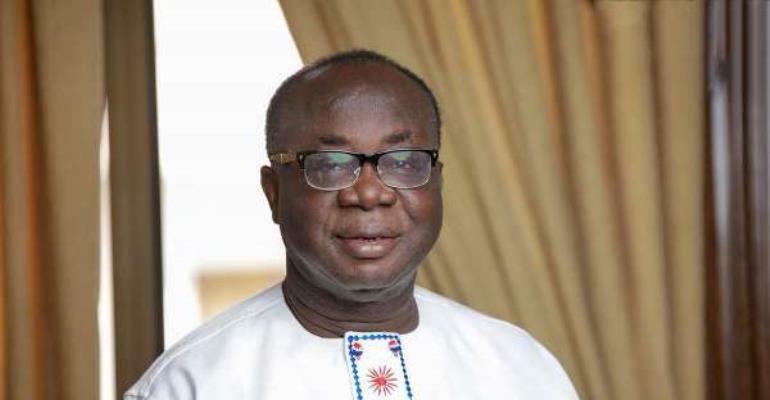 Three people are in the race namely: Acting Chairman, Freddie Blay, Upper West Regional Chairman, Alhaji Abdul-Rahman Abubakar and five time contender, Stephen Ayensu Ntim. Among all, Freddie Blay to me tops and is seen by many as the next National Chairman of the NPP after serving the party faithfully in that position for almost two years in acting capacity. He will be credited for bringing peace and stability into the NPP after almost two years of turbulence under the leadership of Paul Afoko and Kwabena Agyapong, suspended Chairman and General Secretary respectively. He lived in harmony with the party flagbearer, Nana Akufo-Addo and party members and this led to the massive victory of Nana Akufo-Addo and the NPP in the 2016 election. Why would anyone want to change or replace a general who has fought hard and won a major battle? Many have described Freddie as a CPP man who schemed his way into the NPP fold rising through to become acting National Chairman. “Look, I'm not a newcomer in NPP; I have fully registered as a member of the party; fully paid up one for that matter. I joined the NPP many years ago after some flirt in the 2000 to 2008. Today, I drink, speak, eat and think NPP. I have been attending party meetings and rallies through and thorough,” Freddie Blay said in an interview with the Statesman Newspaper on February, 28, 2014. Mr. Blay started his political career with the UP tradition but joined the Nkrumahist Ideology during his university days. In politics people can switch camps any time. Nkrumah resigned from UGCC to form CPP, so was Victor Owusu, RR Amponsah, Joe Appiah and others from CPP to join the UP, and what about J. H Owusu Acheampong and Justice Annan who defected from UP to join the NDC. Freddie can never go back to the CPP, no matter what happens to his political ambition. Whether rain or shine Freddie will never go back to the CPP, he will die in NPP and be buried same. Mr Blay is motivated to run for the chairmanship position of the NPP due to his desire to see the NPP retain power in the 2020 election. Mr. Blay is a lawyer; he was called to the Ghana Bar in 1977, specializing in the field of company law, corporate structure and foreign direct investment-which spans various areas of law and business. His chamber has represented the party on a number of cases in court. Freddie Blay single handedly bought twenty four (24) pickups for the party to aid officers in their work. He will do more if given the chance to lead the party as its substantive Chairman. His newspaper Daily Guide has served as a mouth piece of the NPP way back in opposition. The party used it to circulate all its information: use it for its propaganda purposes and as attack machinery against the NDC/Mahama administration. Who will do such a thing if he is not a true member of the NPP. Mr. Blay comes in with experience, the drive and passion to see the Akufo-Addo government succeed and I have no doubt about that. From the points aforementioned my bet is on Freddie Blay for the choice of National Chairman of the NPP. The writer is a Polling Station Executive in the Ayawaso Central constituency in the Greater Accra Region.